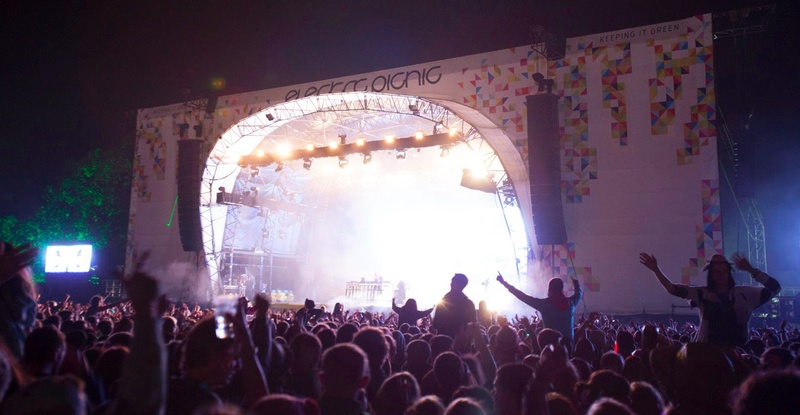 Electric Picnic organisers have just announced the dates for their 2014 festival. Similar to previous years the popular music festival will take place on the last weekend in August (Friday, 29th August – Sunday, 31st August 2014). There is some exciting news for previous festival goers also as Electric Picnic promoters POD announced discounts for loyalty to the festival. Those who can prove they have been to the festival before will be able to avail of discounts and rewards. It is not clear yet how much tickets will cost with this discount but they will be available to buy from December 2nd. General early Bird tickets are also to go on sale on December 2nd and tickets are expected to be snapped up fast due to hype surrounding this 2013 sell out weekend in Stradbally Hall, Co. Laois. Lots of people were left disappointed when the 35,000 capacity event sold out for the first time in four years just weeks before it was due to take place. This was a shock to both fans of the festival and organisers who had worried the festival might not go ahead due to a legal dispute regarding ownership. With a line-up not set to be announced until Easter next year, will you be rushing to grab yourself an early bird ticket? We went out onto the streets of Dublin to find out what some of you thought. Laura Brady, 23 said “I was devastated tickets sold out last year I waited until the last minute as usual and missed out. I don’t think I will be getting mine right away though, it’s hard to plan something so far away”. Brian McIvor, 28 said “Unfortunately my Electric picnic days are over sadly. I have been five times and took advantage of the loyalty discount this year. I would recommend it and it’s not too much hassle to save you a few bob”. Ciaran Ward, 22 said “I think I will get mine in December to save the stress coming up to the festival. Plus its cheaper too, you would be silly not to if you are definitely planning on going”. Ciara Jones, 20 said “Definitely getting the early bird. Christmas present sorted”. Niamh McCauley, 19 said “It is so hard to judge without a line-up announced. It’s a toss-up between Electric Picnic and Oxegen for me. I will have to wait and see the line-ups.